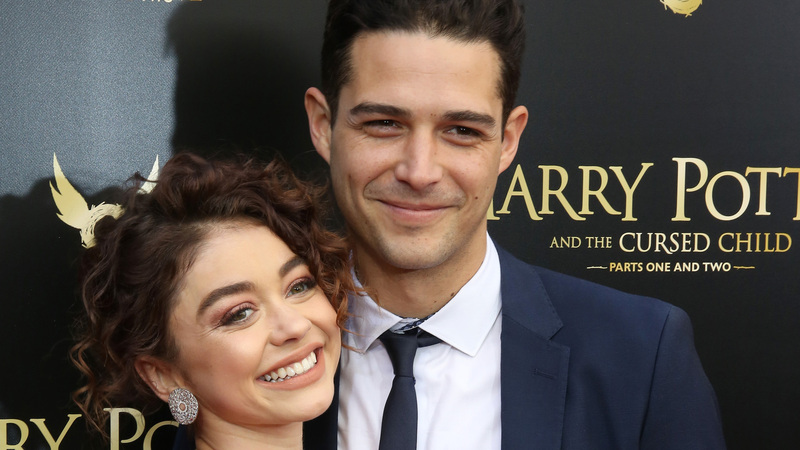 It looks like things are getting serious between Modern Family star Sarah Hyland and her boyfriend, Bachelorette alum Wells Adams. Adams revealed on Friday's episode of his podcast, Your Favorite Thing, that he moved to Los Angeles, which just so happens to be where Hyland resides. “Should I just say it? Should I not?" he said during his podcast. "It’s gonna come out after. It doesn’t even matter. I’m straight-up moving to LA. Should I not have said it? I’ve got to go!” In the podcast, he says they aren't quite ready to cohabitate yet; but that seems to have changed since recording. Us Weekly confirmed on Monday that Adams and Hyland are officially living together. Currently, the couple is on vacation in Mexico after attending Hyland's high school reunion together on July 14, Us reports. They started dating in 2017 after exchanging a series of flirtatious tweets and some private messages. Adams has since met Hyland's parents, and according to a source who spoke to Us, friends and family expect they'll be engaged by the end of the year. The struggle to share the bed with pets is real. We hope they've figured it out by now, but if not, surely everyone will adjust with time.